About a month ago, I was asked to take up the mantle of Sierra Club BC’s Peace Valley Campaigner with the big goal of stopping the Site C dam (alongside many allies). 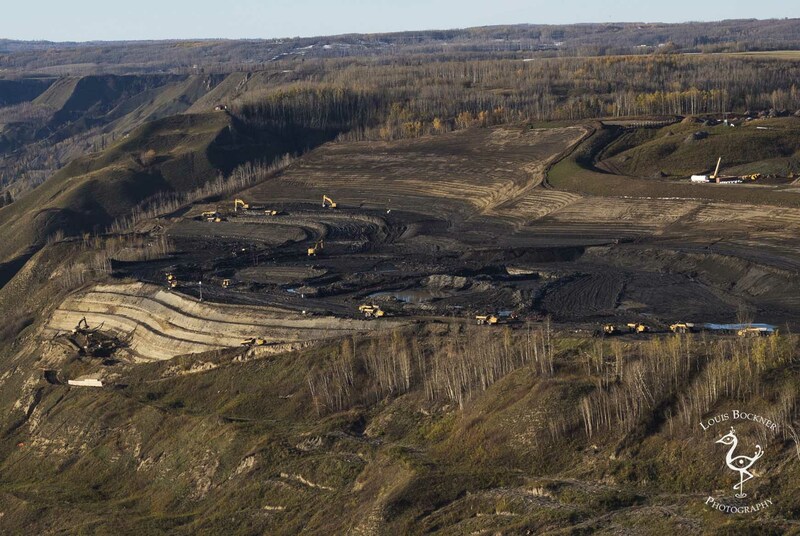 The first thing I wanted to do was visit the Peace River Valley—to see it for myself for the first time, and to meet the people who have worked the longest and hardest to stop the incredibly foolish megadam proposal. So I made a few arrangements and soon I was on the road. After a two-day drive through fall colours, I was in the spectacular Peace River Valley. Yvonne Tupper of Saulteau First Nation. Photo by Louis Bockner. I spent a week in the area meeting First Nations and other community members, farmers and fellow activists. At the end of each day my mind was overflowing with information and I felt ever more disgusted that this project was even able to make it past the idea phase. I met with Yvonne Tupper, a member of Saulteau First Nation. 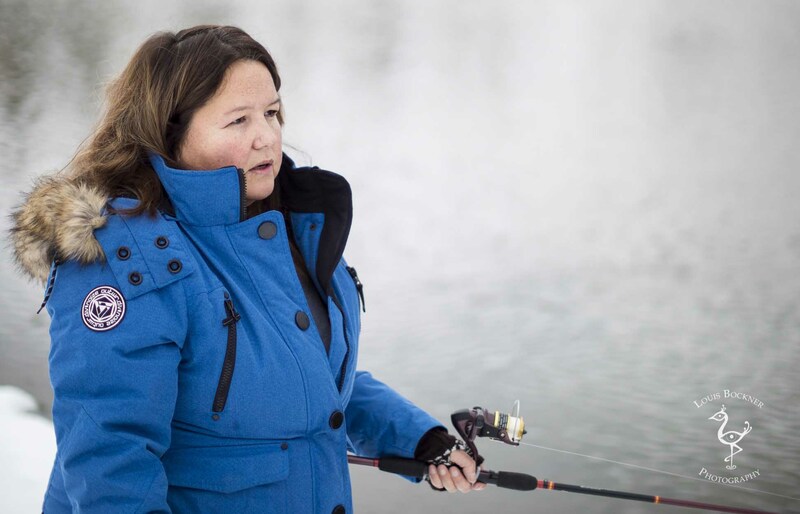 She welcomed me onto her Nation’s land and invited me to fish with her on Moberly Lake. 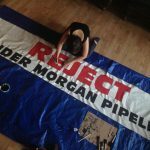 West Moberly and Prophet River First Nations are fighting Site C in court, and we are fundraising to support their efforts to assert their rights, which should be protected by Treaty 8. 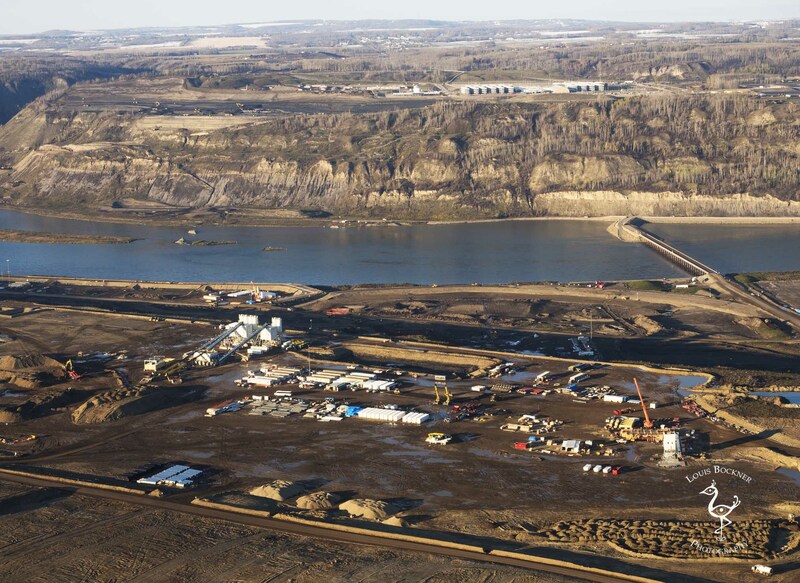 Site C dam construction camp. Photo by Louis Bockner. Site C dam construction. Photo by Louis Bockner. Fedderly, who has watched the project slowly creep along, explained that the excavators we saw below were struggling day after day to secure slipping and eroding silt banks. It’s obviously an uphill battle. 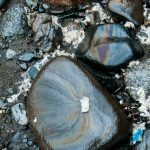 Landslides have been occurring on an increasingly frequent basis in the area over the past two years, sending toxic heavy metals into the river and putting nearby homes at risk. Many residents are worried that the dam will further destabilize the area. This beautiful topsoil is much better suited for growing food. Agrologist Wendy Holm estimates that the Peace River Valley, which is rare Class-1 farmland (the best), could grow enough food to feed over one million people. But not if the valley is flooded, of course. Arlene and Ken Boon with stakes for the Peace. Photo by Louis Bockner. I spent the week at the farm of Ken and Arlene Boon. 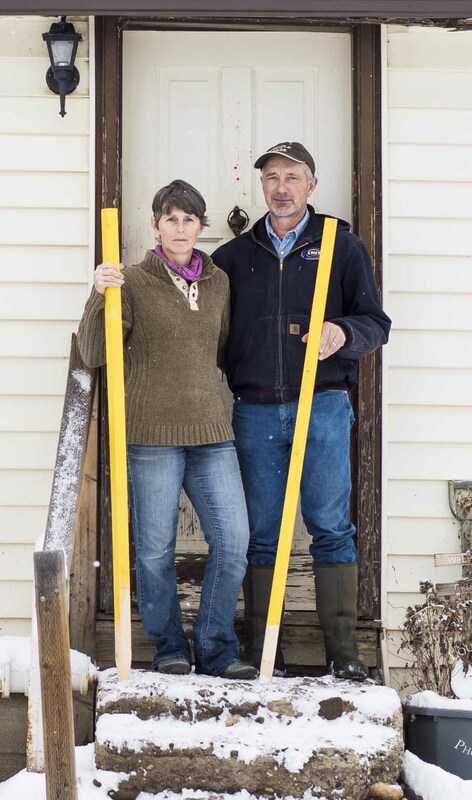 The Boons were given the deadline of October 31, 2016 to reach an agreement with BC Hydro to sell their land and allow a new highway to pass directly through their farm and farmhouse. For now, they are fundraising for the First Nations legal challenge to Site C. They are offering to drive a yellow stake with your name on it into their front yard for every $100 donated. Learn more and plant a stake! There are many more stories to share from my trip to the Peace Valley. I gave presentations in the Kootenays, where we raised $3000 for the legal challenges. Thank you Argenta, Kaslo, Nelson and Revelstoke! All the photos in this blog were taken by my travel buddy Louis Bockner, and you can see more on his Facebook page. Please help Louis and I to take our photos, stories and Site C-stopping strategy across the province. We need the entire province to know what’s going on and demand the project be stopped. It’s not too late, but it is urgent! If you would like to organize an event, contact me at galen@sierraclub.bc.ca. Donations are appreciated – in fact, we can’t travel without them. Learn more, sign our petition and please donate today to help us stop this dam project.